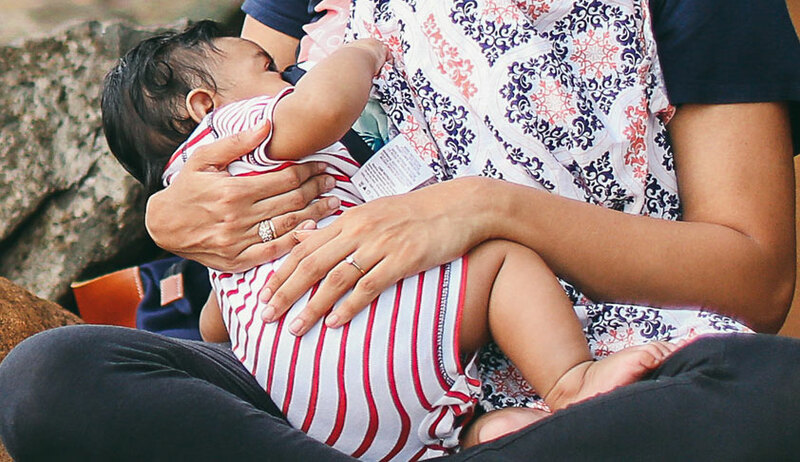 The Madras High Court has posed a query before the Centre as to why it cannot bring an Act making it obligatory on the part of women to breastfeed as has been done by the UAE government by having mandatory breastfeeding clause in the new UAE Child Rights law. The court also suggested the government to grant adequate maternity leave to working women and also consider taking an undertaking from women employees going on maternity leave to not have more than two children as a measure towards population control. The queries were posed to the Centre while deciding the petition of a doctor whose admission to a Post-Graduate Diploma in Gynaecology and Obstetrics for the academic year 2017- 18 was cancelled on the ground that she had not completed two years of service as she had availed six months maternity leave. While granting her the relief and directing the Tamil Nadu government to treat her admission valid for the academic year 2018-19, Justice Kirubakaran kept the petition pending for “considering the general issue regarding the entitlement of a lady to conceive or procreate, avail maternity leave, which shall be considered as service period, irrespective of her status/position in the service and the right of newborn to mother’s feeding exclusively for six months and upto two years along with substitutes”. The court suo motu impleaded the Union of India (Ministry of Law and Ministry of Women and Child Welfare), Commission for Women Development, Law Department and the Health and Family Welfare Department of the State of Tamil Nadu. The court referred to Articles 39 and 42 of the Constitution to speak about maternity benefits for a woman. “The international treaties, to prevent the discrimination of women like “Convention on Elimination of all Forms of Discrimination against Women” (CEDAW); “International convent on Economic, Social and Cultural Rights” (ICESCR) and “Convention on the Rights of the Child” recognize the rights of women, including entitlement of maternity leave. The Union Government is a signatory to recognize all these conventions and it is bound to implement the said conventions,” the court said. The maternity leave has many inclusive components like -- to avoid hard work, to have rest without any work pressure, to deliver the baby, to give mother feeding to the newborn, to give nurturing care and affection to the newborn, the court said, adding that the issue of “maternity leave” has to be dealt with keeping these components in mind. Justice Kirubakaran delved into various researches and studies to emphasize that “breast feeding is important for the babies to keep them healthy and also the feeding mothers”. He referred to a recent study done by University of California, Los Angeles, which states that one third of beneficial bacteria in baby’s intestinal tract comes directly from mother’s milk. WHO recommends that women should breastfeed infants till the age of two. Quoting Dr.Tedros Adhanom Ghebreyesus, Director General of WHO, the court said, “Breast milk works like a baby’s first vaccine, protecting infants from potentially deadly diseases and giving them all the nourishment they need to survive and thrive”. He also cited a report by the Global Breast Feeding Collective, led by UNICEF and WHO, which has said in its report in 2017 that India is poised to lose an estimated $14 billion in its economy or 0.70% of its Gross National Income, due to high level of child mortality and growing number of deaths in women from cancers and type II diabetes, directly attributable to inadequate breast feeding. “…a recent report by the United Nations states that about 99,499 children die every year due to diseases which could be easily prevented by mother’s feeding…Though Maternal Mortality Rate (MMR) declined nationwide, Tamil Nadu recorded a 19% increase in MMR in five years,” said Justice Kirubakaran. Why not the Central Government invoke Article 249 viz., Power of parliament to legislate in respect of matter in the State list in the national interest to treat maternity benefits, including maternity leave and the right of the child to have breastfeeding as issues of national interest? Why not this Court declare right of newborn to mother’s feeding upto six months exclusively and upto 2 years along with substitutions as fundamental right guaranteed under Article 21 of the Constitution and as human right as per international treaties? Why not the Government make it mandatory to get undertaking from the women employees to give maternity benefits, including maternity leave, not to have more than two children, as a measure of population control, taking into consideration the enormous increase in population in India, which is the second most populous country in the world? Why not the Government make it obligatory on the part of the women Government servants availing maternity benefits to give breastfeed exclusively to the child atleast during the said maternity leave period as the medical experts opine that mother’s feeding is not only healthy for the child, but also for the mother as research would reveal that it would bring down incidence of breast cancer, as the Central and State Governments are extending benefits of maternity leave? Why not both the Central and State Governments sensitize the masses, especially employed women, about the importance of the mother’s feeding in the interest of the children, who are going to be the future generation, through media roping in celebrities like actors, cricketers etc., as well as have seminars and discussions in the Government offices, also through medical counselors? Whether the provisions of “Infant milk substitutes, Feeding Bottles and Infant Foods (Regulation of Production Supply and Distribution) Act, 1992 are properly implemented, including banning infant foods through advertisements, and breastfeeding is promoted?